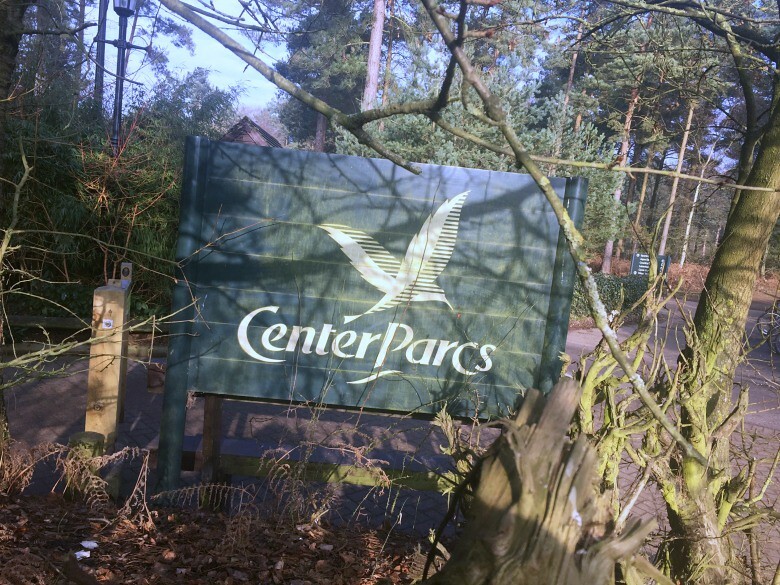 This time last week I was travelling to Center Parcs in Elveden Forest, my first visit to any Center Parcs for a weekend of fun with my 'holiday family'. Prior to arriving I wasn't sure what to expect and whilst everyone I had spoke to about their Center Parcs mini breaks talked highly of them I had already vetoed riding a bike and knew that participating in activities of a sporting or 'outdoorsy' nature weren't really my things so what it would offer me beyond time with friends I was keen to find out. Be warned this is a photo and word heavy post so make yourself a cuppa before reading. Our chosen Center Parcs location was Elveden a short hour drive from home although after a work emergency from Ben, my spending the morning booking a holiday to Walt Disney World and subsequently rushing around to pack and managing to flood my bathroom Ben and I headed off a little later than intended. We arrived at nightfall and joined a small queue of cars to enter the property and I was immediately impressed with the setting, I appreciate this is stating the obvious but you really are entering a forest village that you can imagine yourself in a film set. For those of you who love the experience of the Disney or Harry Potter Worlds you receive a similar feeling albeit on a different scale and theme. Arriving at night was somewhat troublesome but did provide our first laughs of the weekend. 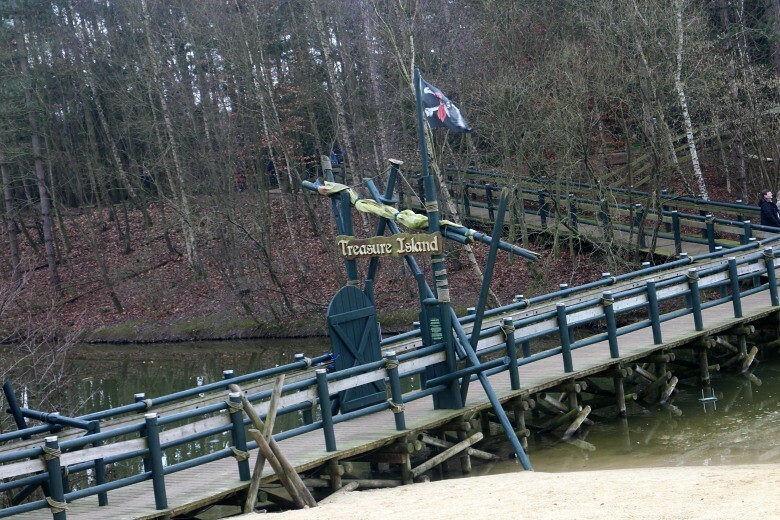 Center Parcs is car free. You are allowed to drive your car on site from 3pm to unpack at your villa and must have it returned to the car park by midnight. There the car remains until you pick it up the morning of your departure. The forest is dark, very dark, which after navigating the one way system trying to avoid those on foot, some of whom seem to be mindfully ignorant of the cars on the road, we managed to miss our villa and had to do a loop back round. After unloading our car and greeting our friends, with special thanks to Lewis and Rob who completed the task of returning my car to the car park I looked around Maple 740 and was very impressed with what I saw, expecting something between a caravan and Butlins (no disrespect to either intended!) but instead was greeted by a very modern and perfectly pleasant home for the weekend. Our villa had three bedrooms, two doubles and a twin for Ben and I, all with en suites - and all with the most comfortable beds to the point I have returned home and the fact I need to replace my pillows is never more evident. Whilst not the largest of rooms they were perfectly sufficient for our weekend and I was most impressed with a very modern and spacious bathroom. The living area had enough space for the two children to potter around and sofa big enough to allow the six adults to kick back, and my only critique would be a very small tv although I expect they are not expecting many people to sit round watching Celebrity Big Brother every night! There is also a DVD player which if movie nights are you thing you're sorted. There is a dining table which we were all able to sit around comfortably and the kitchen was very much more than a kettle and two ring hob - there was even a dishwasher. I'll provide some further insight into the kitchen facilities and how the boys faired cooking our meals in there towards the end of the post. For our first evening we decided to order takeaway. Available to order from 5pm and with a menu that covers everyones needs from your typical indian and chinese to fajitas and burgers and delivered to your door this seemed a perfect way to kick off proceedings. We settled for chinese although loved that you wouldn't be required to all eat the same style of meal. We ordered around 730-8pm and had an hour wait, I imagine with everyone arriving that day they had a similar idea as us although I certainly felt it was worth the wait. Often a chinese takeaway seems a good idea until you've eaten what can often be a meal that is very cloying and I'm reaching for gallons of water to dehydrate myself. Center Parcs chinese offering whilst I'm not suggesting is the best meal I've ever had nor of a gourmet variety it was certainly a good meal that I devoured greedily. We woke up the next morning and enjoyed a breakfast cooked by Ben and Lewis, watching muntjac and squirrels playing in the 'garden' before getting ready to explore Center Parcs. 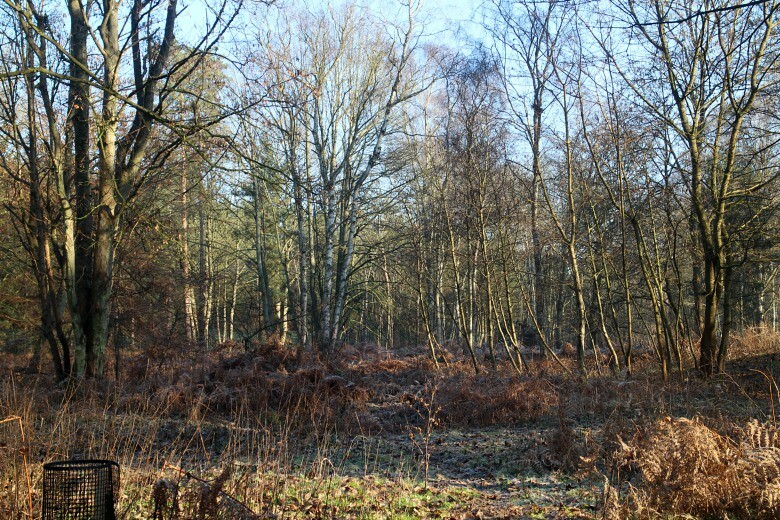 As I mentioned I'm not one for activities so our stroll in the forest took us to Starbucks, how basic, but the warm drinks were needed against the biting cold. Our next stroll led us to the Sports Pavilion where we enjoyed some cocktails as the children enjoyed the soft play area, its worth noting that every bar or area of its type has one of these soft play areas so both children and adults can enjoy their time together. The parents in the group decided to take the kiddies to the Subtropical Swimming Paradise whilst Ben and I decided to have a walk through the shops, nice enough to poke your head in but nothing groundbreaking, take some photos and return to the villa where I'd be embarrassed to say I dragged my duvet onto the sofa and slept for three hours had it not been a wonderful nap. The crew returned from their fun time in the pools and then once again it was men to the kitchen and prepare our evening meal of fajitas and more fun with Heads Up - anyone else as obsessed with that game as I am? Sunday morning the girls and I were booked in at the Aqua Sana Spa for a morning of relaxation. The only fly in the ointment for me is that I find spas the least relaxing activity and whilst I was keen to experience the spa I decided that I was becoming more stressed out thinking about going than necessary so left Jo and Lavinia to it and joined the boys in the Sports Bar. The girls returned from the spa looking and feeling suitable relaxed and spoke very highly of both the experience and treatments and did say I wouldn't have been too bored with the variety of rooms to explore and should've given it a chance. If spas are your thing definitely treat yourself and I can honestly say the girls looked radiant after their Decleor facials. 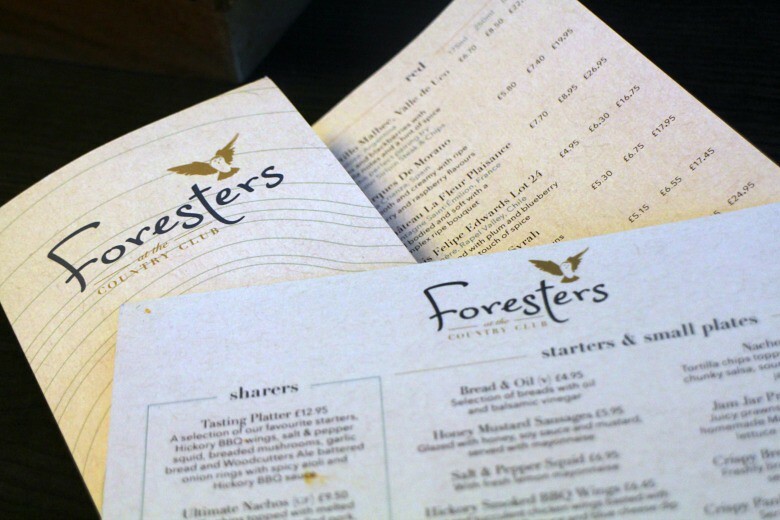 Next stop was the Foresters Inn at the The Country Club for Sunday lunch which I'm sad to say was a disappointment. Anemic roast potatoes, beef sliced thinner than I've seen on a deli counter and a portion not much larger than the child's one. I couldn't even bring myself to share an image in this blog post but if you would like you can take a look at it here. Sadly what I didn't get was a photo of the burger that Rob picked as it was a far better choice than our roast. I will commend our waitress Jade who was amazing the duration of our meal. 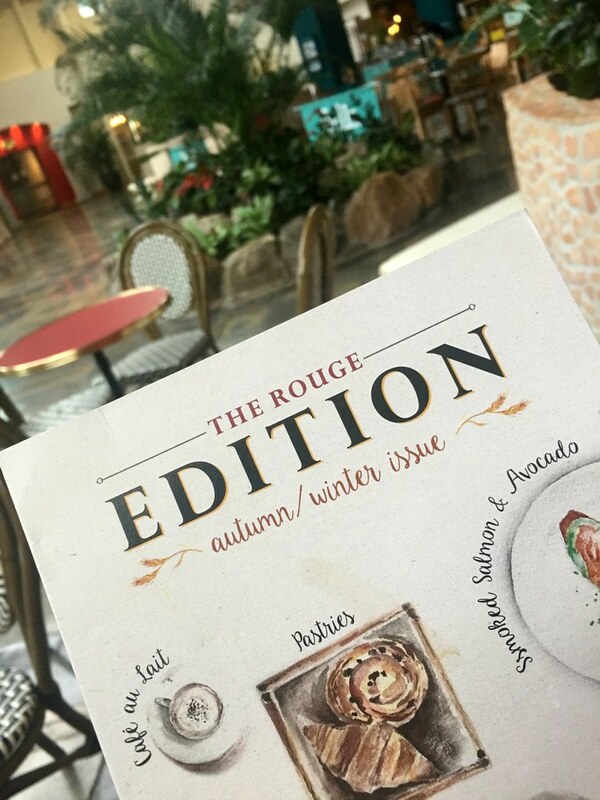 We woke to our final morning in 'Elf Town' and after picking up cars, packing and dividing the food we had leftover and drink it was time for a breakfast pit stop in Cafe Rouge before making the drive home. Once again the parents of the group made use of the swimming pool leaving Ben and I to visit the service station and tackled the 'check tyre pressure' warning appearing on my dashboard! 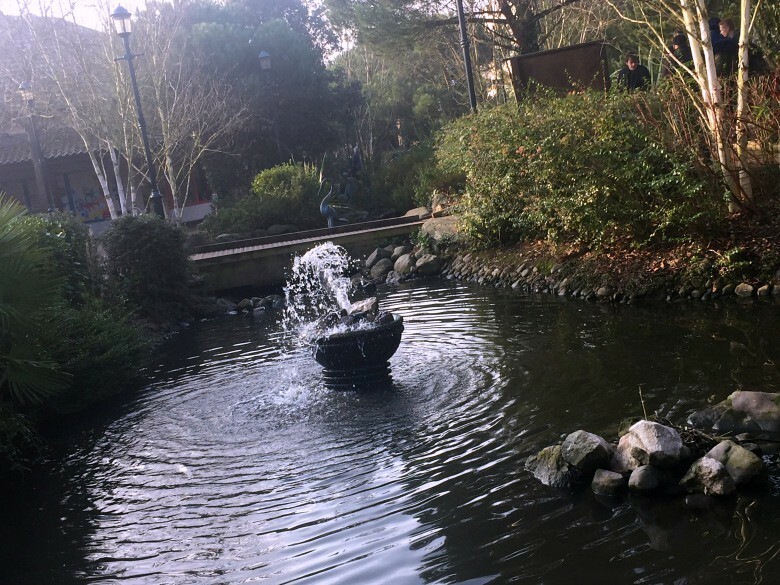 I loved Center Parcs it was such a peaceful and enjoyable place to spend the weekend and a perfect post Christmas break. I'm sure some of you might think but you didn't do anything but I think that is part of it's beauty whether you are the active or inactive type you have the opportunity to do as little or much as you wish. 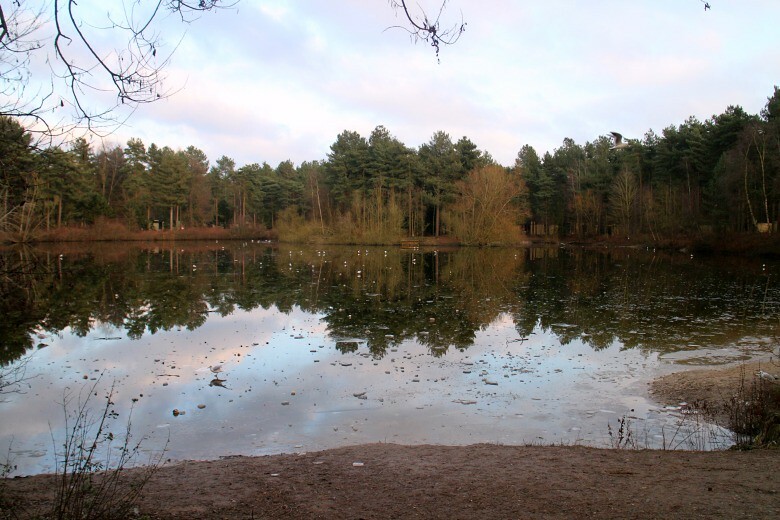 Some additional things of note which I hope help you if you're planning to book a trip to Center Parcs this year. We selected an Executive Villa which I believe is a location closer to the center pavilion and we also had maid service who hoovered, made beds and cleaned the kitchen and bathroom during our stay. I must also give them a special shout out as when they arrived at 10am on the Saturday morning and we were not yet ready for them they agreed to come back over lunch and even made a special effort to look for my friends earring she had lost at some point. Much like Tania mentioned in her review of the Woburn branch and the space for her wheelchair there isn't much room to store two buggies although otherwise the open place living space was perfectly safe for the children to toddle and crawl around without parental fear of them bumping into anything dangerous. The kitchen was impressive from it's dishwasher (3 tablets were supplied and served us for the trip) to the wine cooler (that came in very handy). The only critiques from our handy chefs was that the frying pans and such were a little small based on the number of people occupying the villa, breakfast was something of a challenge and the fajitas were cooked in a mixture of pans and batches. Lewis also made sure I mentioned that whilst the gas oven took some time to heat up once it got going it was a fiery beast and the heat once opened even managed to singe his arm hair off. 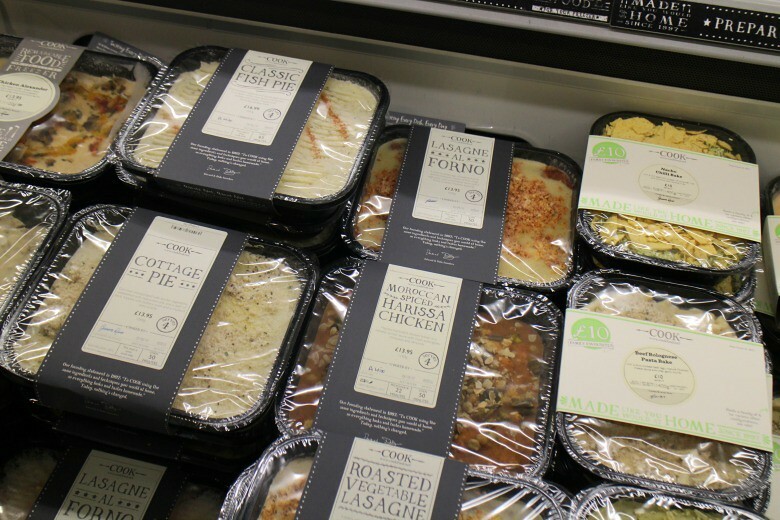 My mum often visits with friends and they tend to take along prepared foods such as lasagnes and shepherds pies that just require reheating so it's something to consider or perhaps if you're at one with a slow cooker taking one along could be useful. I'm quite interested to see how she fairs on her next trip when apparently she is cooking Christmas Dinner! There is a supermarket on site which is of course more costly than your local offering but I wasn't as horrified by the prices as I expected and they have a nice offering from COOK if you're familiar with them. I'm sure you will forget something, in amongst the ingredients for the perfect morning fry up and selection of fine wines to keep us hydrated we forgot salt and pepper and if using the dishwasher more frequently than we did you might require more tablets than the three supplied. I have already spoke favourably of the bedrooms with their en suites and comfy beds but possibly the biggest tick from me was a plug socket by the bed. We all suffer the frustration of having to regularly charge our iPhones served from the shortest leads known to man so this was perfect and something I wonder why more hotels aren't adopting. 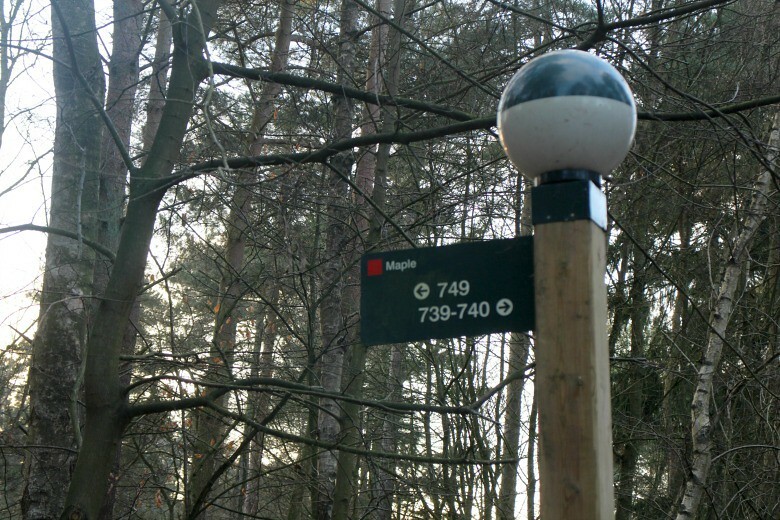 Perhaps when visiting Center Parcs you might like to offline but if you're keen to Instagram your trip I was pleased that the free wifi worked with no issues over the weekend. Considering we were in the middle of a forest I was expecting that there would be some problems, especially when inside our villas but that was not the case. Our chinese on the Friday night was £99 for six of us which whilst not the most expensive meal for the few dishes we had it could be a little costly especially if not split amongst 'the couples' like ours was and instead you're feeding a whole family. As I've said all the bars we frequented were designed for families so it's certainly not somewhere for those looking to perhaps escape children for a few days. The Sports Bar was well set up with multiple screens dotted around so that you couldn't fail but find a good view and if you had small ones needing entertaining there was always a soft play area to hand. Unfortunately the bar which also housed the bowling alley and overlooked the swimming pools wasn't quite prepared for their Saturday service. We stood at the bar for some time whilst the one of the two servers handled bar duties and another was continually called away to deal with issues on the bowling alley. It did take longer than we expected especially when ordering items such as cocktails and in most instances you're not dealing with one or two drinks but larger parties. I was especially sorry for the woman next to me being served who was told that they had run out of Prosecco. They did track some down in the bar next door but instead of being 'allowed' to have a bottle brought over the customer had to go and purchase there, but was allowed to bring back with them. Somewhat strange practice. 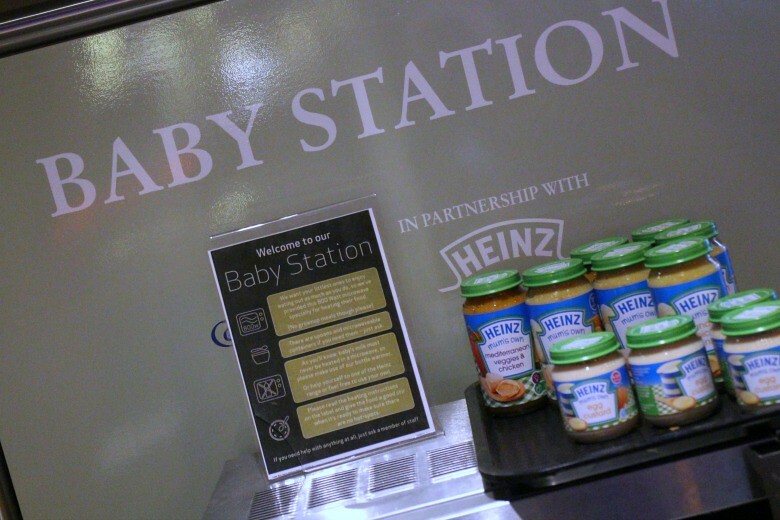 Most impressive to the mums in our party was the Baby Stations dotted around the bars with free Heinz baby food. Jars of baby food, a microwave, everything you'll need when your little one feels the pangs of hunger and perhaps my cynical side showed that I was impressed that it wasn't a case of people grabbing numerous jars to take home and actually making use of them in the moment. Aside from the aforementioned baby food the one downside of Center Parcs is that everything has a price. Any activity you want to participate in will require payment, and in many cases, especially at peak times booking in advance. 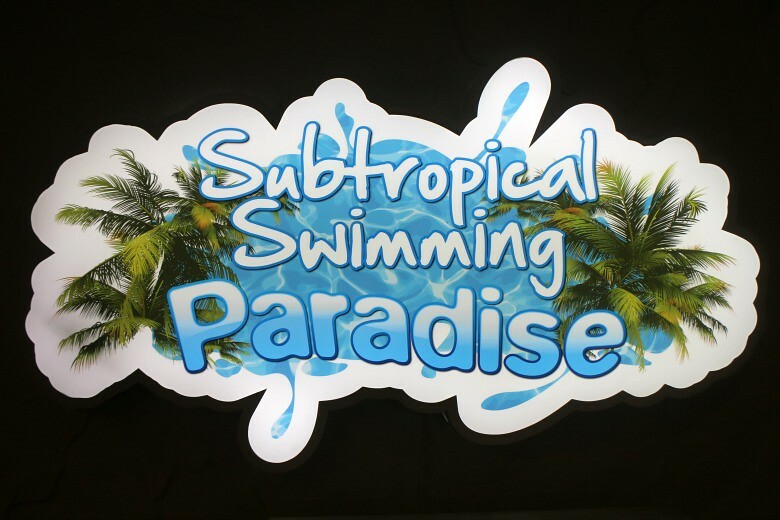 The swimming pools are free and you are able to access them before check in and after check out and of course most children do love the swimming pools. I'm not a fan of the water so I didn't dive in but even my mum who cannot swim talks highly of the pool areas and how she takes up residence on one of the seats with a newspaper. The enjoyment was only marred by a very busy and small family changing room and that more than one locker was needed, which when you take into account a families belongings and the rummaging round for additional £1 coins can make things a little stressful. 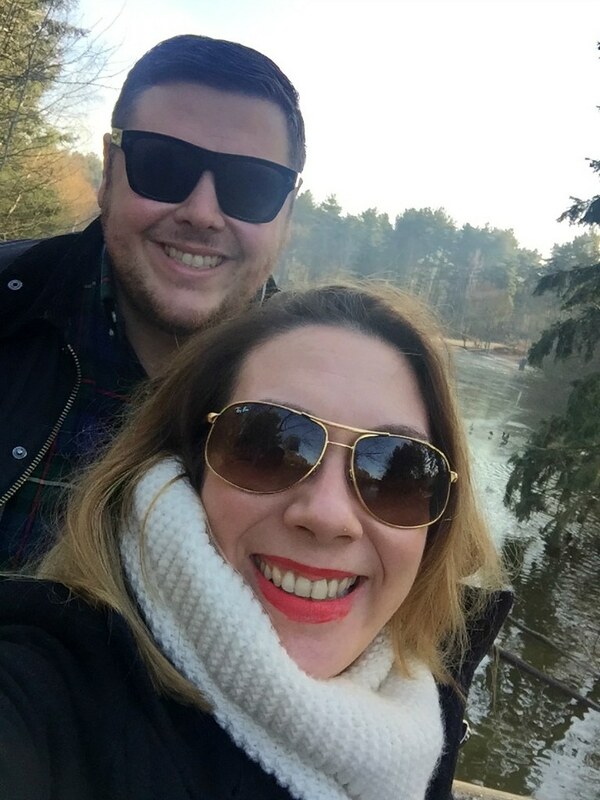 If you've made it this far well done; it's no wonder I've been writing this blog post all day I did quite expect it to be so long and I hope it's not just mindless ramblings and if you're considering a trip to Center Parcs you find it interesting. 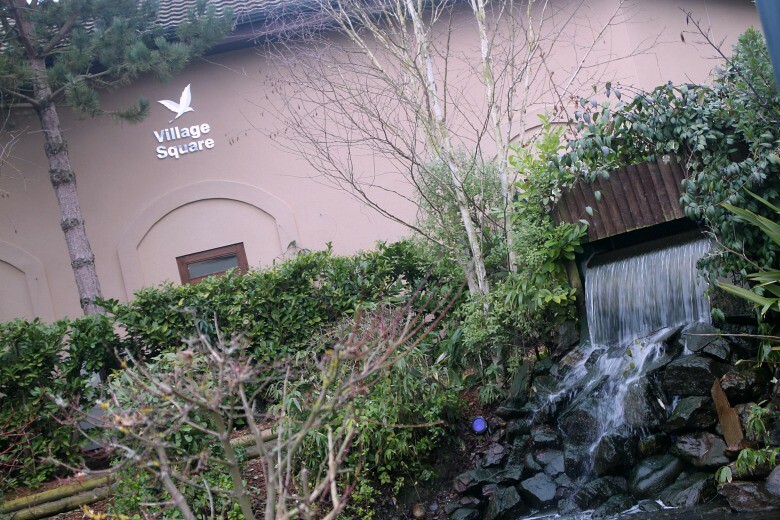 Are you a Center Parcs fan? I'd love to hear your thoughts on any trips you've been on. And honestly it's expensive to go there too. Its just me paying for myself but how a family of four or five would afford it, certainly in peak season is beyond me. I typed in some dates just to check some details (their website is also not the most user friendly nor informative unless you have a booking) and it's the price of a trip to Europe for a week so half term and Summer must be extreme. We picked the weekend before the January payday so it was quite affordable for us, especially with three couples rather than a whole family paying for the accommodation. I'm so glad you had a great time and thank you so much for including my post! I've really surprised that people weren't pocketing the baby food that was freely available too! 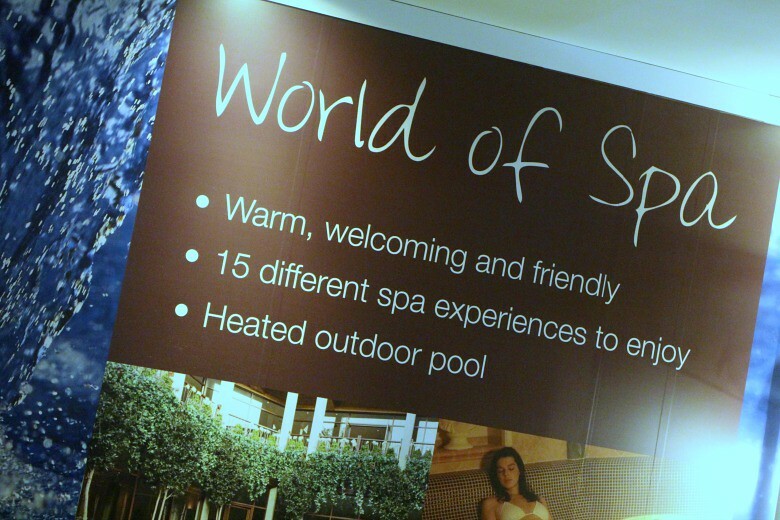 Though both times I've been to Center Parcs I've felt that other guests were always very respectful to one another. I got no stares when I went to Woburn as a wheelchair user and everyone was very thoughtful in their actions towards me. Plus, the only comments about my wheelchair were from small children who were just verbalising their curiosity about something new to them. We love Elveden, it is expensive though! The prices for the Summer holidays before you have add ons made my eyes water! Just remembered to come and read this! Sounds like you had a fun weekend, and good to hear that you didn't need to do all the activities to have a good time! I'm not sporty at all so I'd be the same! 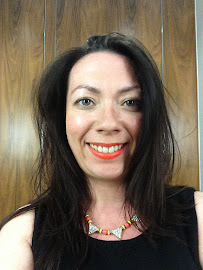 I was really worried but as I say I vetoed anything more energetic than raising a glass of wine to my lips!